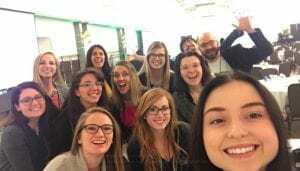 Oakland University interns with Jeff Anderson at #MCTE17. Image courtesy of Danielle Lonergan. My first experience with MCTE was incredible. I was in a space with 300-plus like-minded educators all with the goal of sharing, learning, and helping all students achieve success. It was a place where teachers were learning from teachers, and people were helping people! Over the course of my years since that first conference, I have crossed many personal thresholds that seemed frightening in the beginning – I could not have done this alone. Thanks to mentors in teaching networks developed over that time I was encouraged to push myself, take risks, and seek opportunities to grow in the profession. As teachers, we search for opportunities to better ourselves and those around us. Our primary focus is to help others achieve success through the benefits of literate lives. All year long, we stay true to our focus. We spend time reflecting on our past practices as we hone our craft. We seek out and engage in authentic conversations during conferences and workshops, on social media, and with professional reading for both pleasure and purpose. Our motivation is our hope for the future – our students. We know that, as we grow in our learning, our students will grow with us. 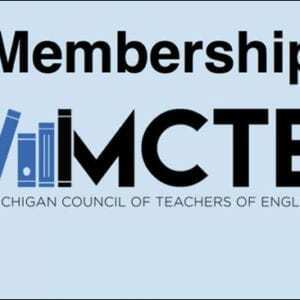 My professional growth began with the Michigan Council of Teachers of English. 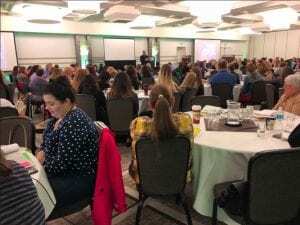 Attendees at MCTE's Fall Conference in 2017. Image courtesy of Julia Dang. opportunities to be teacher-leaders at a state, local, and national level. MCTE is open to current teachers, pre-service teachers, and retired teachers of English K-16. Membership is automatically included in the registration fee for MCTE's Fall Conference. For those who do not attend the Fall Conference but want to stay active, membership in MCTE costs $40 per year. It’s quick and easy to sign up or renew your membership. Click below to join without the Fall Conference.